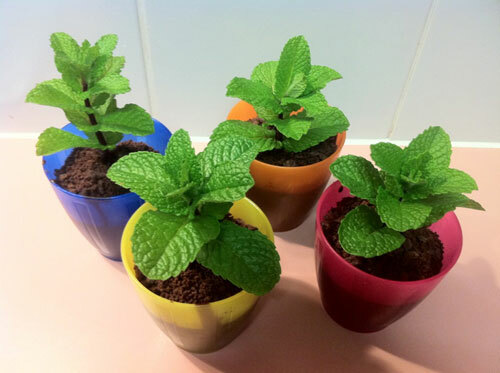 In the last entry we talked about growing specific herbs like Peppermint & Lavender in garden planters. 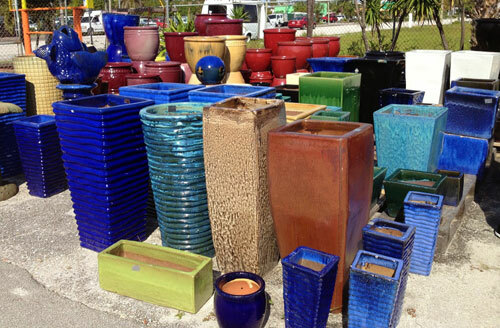 We covered everything from water, fertilizer, plant selection and of course pottery selection. In this entry we will talk about Chamomile. A very popular choice. 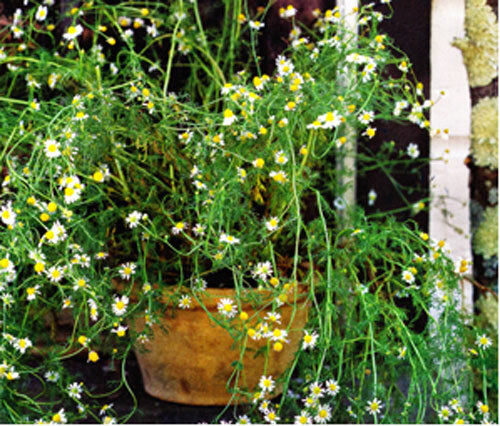 Chamomile (Matricaria recutita) The quintessential cup of herbal tea, chamomile can soothe an upset stomach as well as calm jittery nerves. 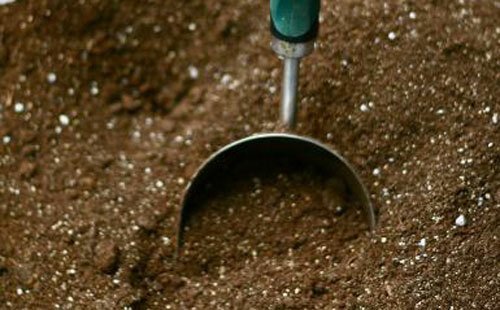 It is an annual that can easily be started from seed or a nursery transplant. 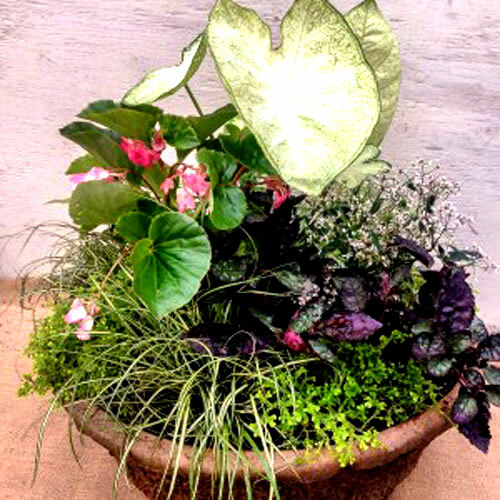 Because of it's burst green shoots that are topped with white & yellow dainty flowers, it makes a love hanging planter for your home or patio areas. 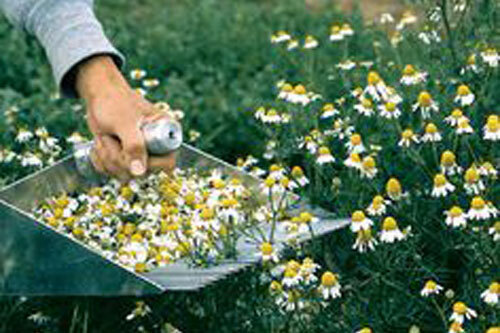 Chamomile flowers prolifically so check the plant every other day and pick the flowers as soon as they open fully, if you want to harvest the leaves for tea. Otherwise enjoy their beauty! Cut the stem above a leaf node where a leaf meets the stem, then cut the flower head off the stem. Use the flowers fresh, or place on a drying rack out in the sun. Toss them a couple of times everyday until they are crispy dry, generally for one to two weeks. Store them in a glass jar away from heat and light and keep for up to a year. 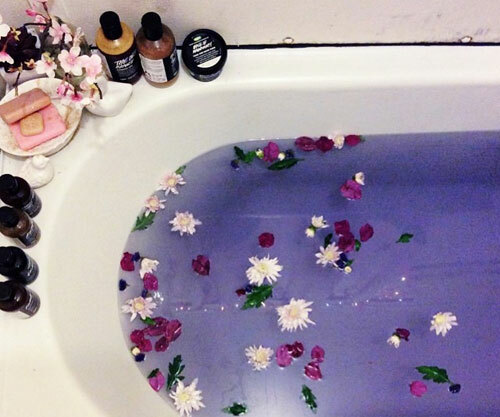 To alleviate stress or soothe a stomach, try a simple tea. It's also delicious combined with lemon balm and a bit of peppermints. You can make tea with fresh or dried herbs. 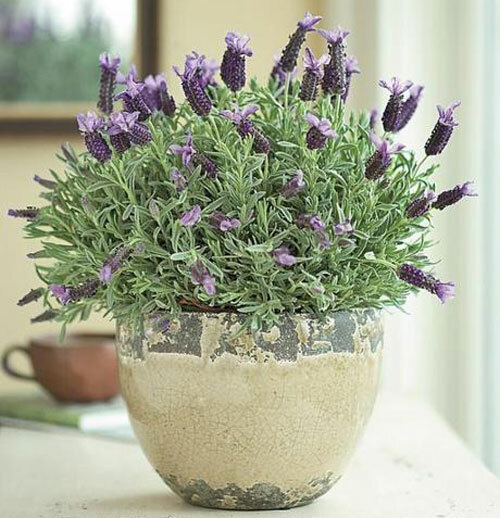 Pour boiling water over the herbs in a teapot or mug. Cover and steep for 10 minutes. Strain and enjoy. Keeps for 1 day in the refrigerator. 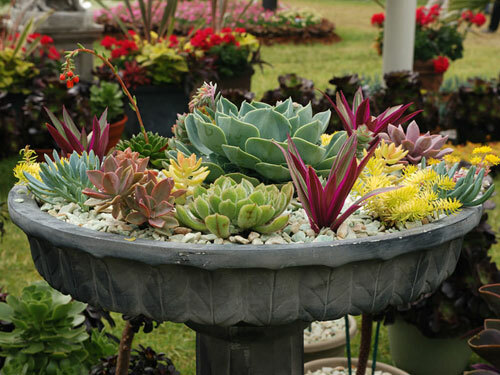 Read more.....How to plant a big pot. Vegetables that take up little space, such as radishes, carrots and lettuce, or crops that bear fruit over long periods, like tomatoes and peppers, are best suited to containers. Other good options include cucumbers, onions, eggplant and squash. Staking might be needed for tall or vineing plants like tomatoes and cucumbers. Be sure to provide adequate drainage and quality pottery soil. 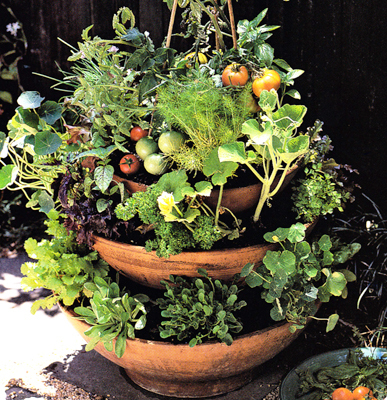 If you like this stacked look, use our Terracotta Italian imported low bowl garden planters. 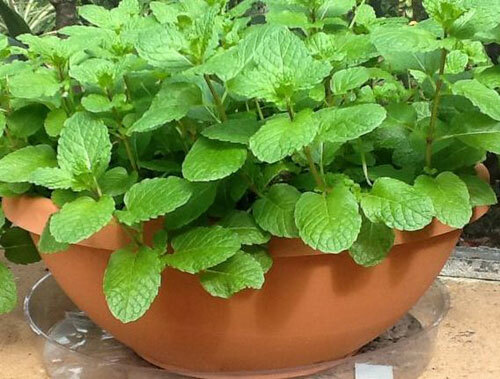 Each pot is imported directly from our supplier in Italy. Made of the finest terracotta clay, the beauty of these planter is hard to beat. Each pot comes with a drain hole. 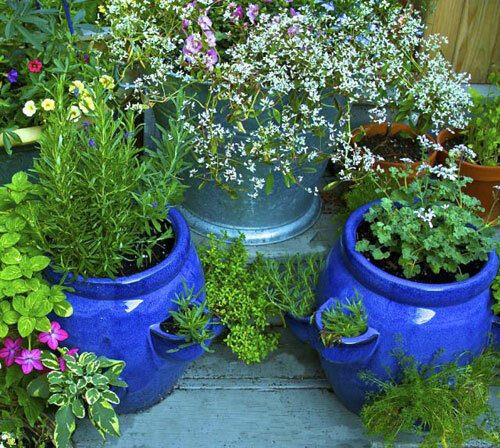 Read more.....Watering your garden containers.